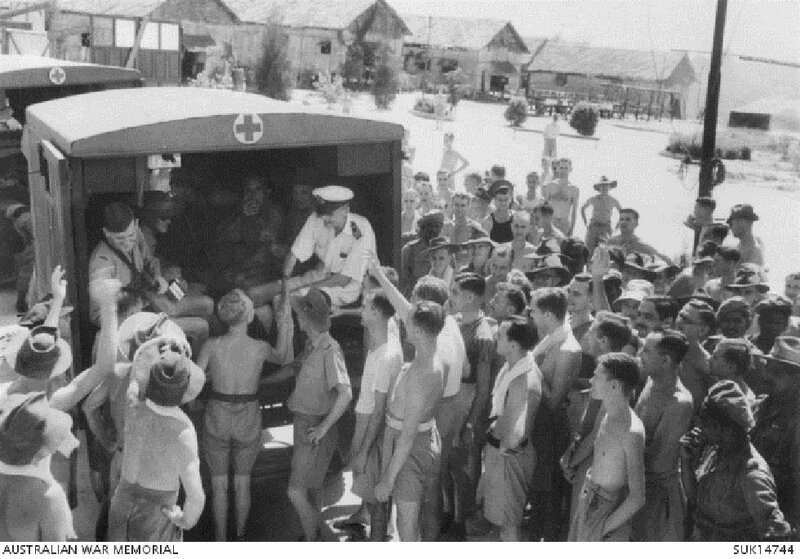 The first sick POWs to leave Changi camp following the Japanese surrender on 15 August 1945 were taken by ambulances to the hospital ships, and were given a send off by companions who will soon follow them, 22 September 1945. Image courtesy of Australian War Memorial. 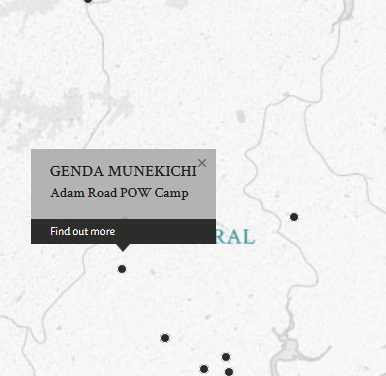 The accused, Sergeant Genda Munekichi, was the commandant of the Adam Road P.O.W. Camp, consisting of about 500 British, Australian, Dutch and American P.O.W.s. It was alleged that Genda had mistreated the P.O.W.s, thereby causing them physical suffering. Such mistreatment included neglecting to look after the welfare of P.O.W.s, failing to improve camp conditions (such as failing to solve overcrowding issues, failing to provide adequate sanitary conditions and medical supplies and failing to provide enough food) and physical maltreatment (such as forcing P.O.W.s to build fortifications and undertake manual work even if they were in no physical condition to do so, denying P.O.W.s medical treatment, taking materials meant for the P.O.W.s for personal use, and beating up P.O.W.s). According to exhibits, Genda had seen action in New Guinea with a unit which had been completely destroyed. Genda was wounded in the hand and was first moved to the Philippines, and subsequently to Singapore. Adam Road P.O.W. Camp was his first experience of dealing with P.O.W.s. Genda [Kinda], Munekichi. Sergeant. From Japanese military. From Japan. Not guilty. Fortescue, F. G. Major. From British military. Eber, J. St J. Civilian. Barrister-at-Law, Inner Temple and Solicitor and Advocate in Singapore. Kawachi, Yuzo. District Judge in Chiba, Japan.